Join our Freedom Team in Moldova! Apply for a Project Coordinator! 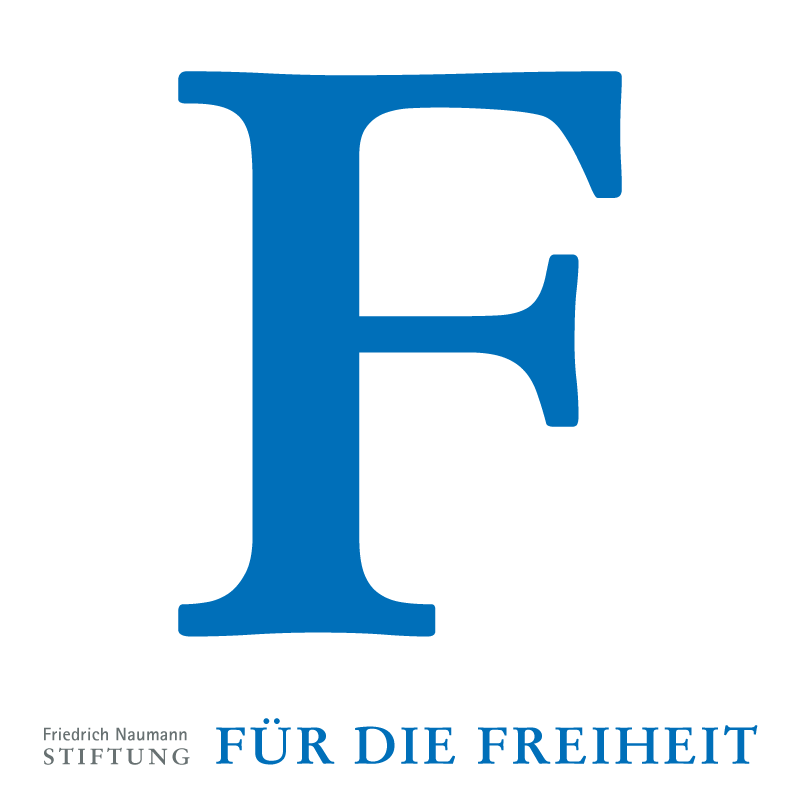 The Friedrich Naumann Foundation for Freedom is the German foundation for liberal politics and advocates for democracy, market economy, rule of law and human rights in more than 60 countries. The Project office of Friedrich Naumann Foundation for Freedom for Southeast Europe has been working in Romania and Bulgaria, since 1990 supporting a difficult ongoing transformation process. The period has seen significant improvement in the capabilities of our liberal partner parties and, what is more, European Union membership was extended to both countries on January 1st, 2007. In the late nineties, the Foundation expanded its project work in the region, launching activities in Macedonia and Moldova. Some 25 years ago, the countries in Southeast Europe were still under communist rule. After a peaceful liberal revolution almost everywhere, in a historically very short time, these countries succeeded in building democratic and market economy oriented systems with their newly acquired freedom. That is a huge success story for the liberal ideas. 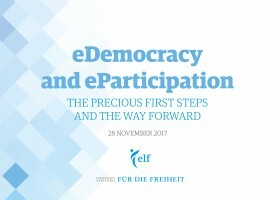 The Friedrich Naumann Foundation for Freedom has supported the democratization processes and the building of civil societies in these countries from the very beginning, through political consultations and educational activities. Also, the Foundation actively helped develop the region’s economic restructuring process through public consultations and by conveying valuable liberal concepts. Since the collapse of communism in 1990, Bulgaria has been undergoing a continuous transition to a market economy and political democracy. 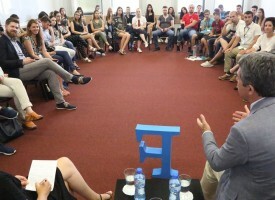 Conveying the liberal concept through political consultancy and educational activities, the Foundation strengthened the democratisation process, the development of civil society and eventually, facilitated the country`s accession to the European Union. After entering the EU, the focus areas of work were shifted in two directions. First, consulting and capacity building of the liberal political parties, so that they could address more effectively the problematic matters in the areas of free market, rule of law, freedom and democracy. Second, in close collaboration with partner think-tanks, the Foundation strives to raise the public awareness of the same matters through regular campaigns and publications. Romania was included in the sub-region Southeast Europe of the Friedrich Naumann Foundation for Freedom shortly after the fall of the “Iron Curtain”, which had held the country apart from the functions of democratic processes and the free market for 45 years. The Foundation supported the birth and the strengthening of the liberal idea throughout the entire transition process, together with a number of domestic partners. All these efforts materialised in 2007, when the country joined the European Union and embarked on the path towards prosperous and value-driven development. 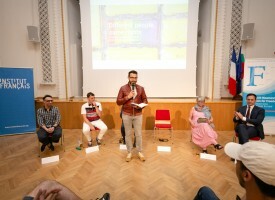 In Romania, the Foundation organises a large number of seminars, workshops, and conferences as well as advisory missions. Furthermore, the work includes thematic publications and E-learning opportunities for the general public and for youth. Project work on the Republic of Moldova by the Friedrich Naumann Foundation for Freedom Southeast Europe began at the end of the 1990s. Although, the country signed an Association Agreement with the EU in 2013, it still faces enormous challenges on its path to the European Union. 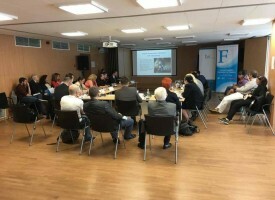 Moldova’s improper application of the law, restrictions on media freedom and its underdeveloped market economy are all of high concern to the Friedrich Naumann Foundation for Freedom. The Foundation has been firmly supporting its Moldavian liberal partners, mainly through capacity-building initiatives and consultancy. Indeed, the liberals are the only ones who have declared that they are clearly pro-European and aspire to join NATO. 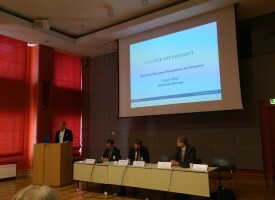 The Foundation believes that they can assist the prosperity and democratic development of this future EU member state. Situated in the heart of the Balkans, the Republic of Macedonia gained independence from Yugoslavia in 1991 and embarked on its path towards a market economy and democratic development. The transition process, however, has been marked by considerable economic difficulties and ethnically-based civil conflicts. In such an environment, nationalism easily took over and allowed for the establishment of authoritarian governance in this still-fragile democracy. Highly concerned about rule of law and the democratic functioning of the state institutions, the Friedrich Naumann Foundation for Freedom launched its project work in this country in the late 1990s. 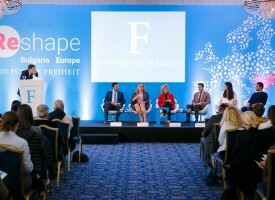 Supporting the liberal political parties and collaborating closely with liberal institutes, the Foundation’s goal has been to build up a strong Macedonia, driven by common European values. 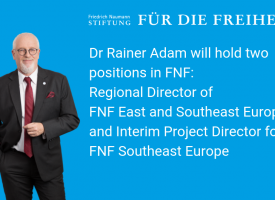 The Friedrich Naumann Foundation for Freedom was the first German political foundation, which supported the process of democratic transition of Bulgaria immediately after the fall of the Iron curtain in 1990. For 25 years now, the foundation was actively involved in the promotion of the rule of law, good governance, the market economy, and human rights. In two panels, politicians and analysts debated on the successes of and the challenges before the liberals in the promotion of democracy and market economy in the last 25 years in Bulgaria. 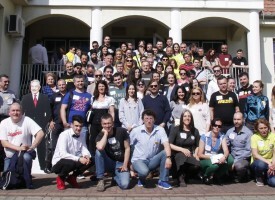 The event brought together friends and partners of the Foundation from Bulgaria and Southeast Europe. Our guest of honour were be Prof. Karl-Heinz Paqué, Vice-President of the Board of Directors of FNF, Juli Minoves, President of Liberal International, and Hans van Baalen, MEP and current President of the ALDE Party. Фондация за свободата „Фридрих Науман“ е първата германска политическа фондация, подкрепила демократичния преход на България непосредствено след падането Желязната завеса. Още през 1990 г. тя започва своята дейност в подкрепа на демократичните промени в България. Вече 25 години работим за развитието на пазарната икономика, укрепване на правовата държава и защита на човешките права. В два панела, лица от политическия живот и анализатори обсъдиха успехите и предизвикателствата пред либералите при отстояването на демокрацията и пазарната икономика през последните 25 години в страната. Събитието събера заедно всички наши партньори и приятели от България и Югоизточна Европа. Част от специалните гости бяха проф. д-р Карл Хайнц Паке, член на Борда на директорите на Фондация за свободата „Фридрих Науман“, Жули Миновс, президент на Либералния интернационал и Ханс ван Бален, член на ЕП и понастоящем председател на партия АЛДЕ в ЕП.